We are excited to celebrate this company milestone with our clients. 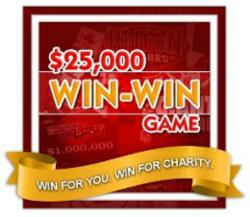 The $25,000 Win-Win Game is the perfect way to showcase what we do while rewarding our clients. We look forward to the next 25 years! 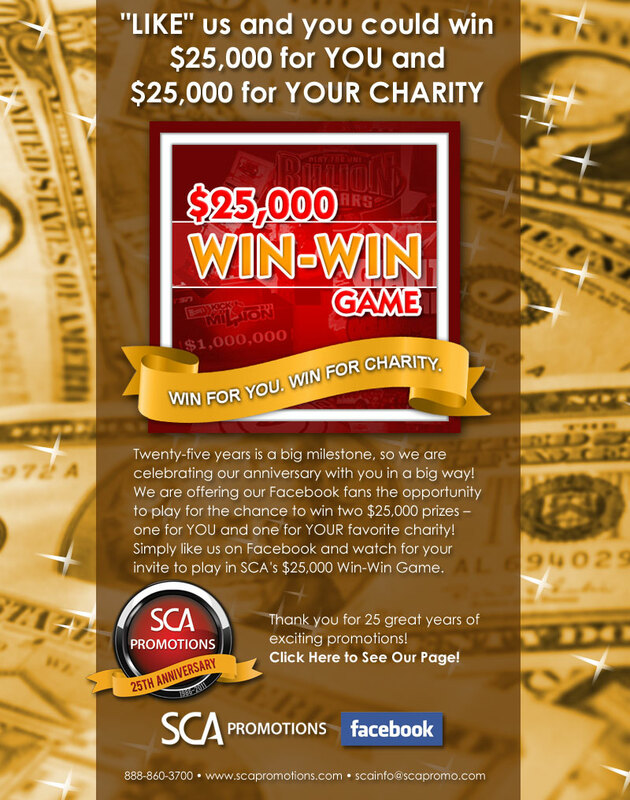 SCA Promotions today announced the launch of an instant win promotion application on Facebook with a chance to win $25,000 and an additional $25,000 for his or her favorite charity. This announcement is in honor of SCA’s 25th anniversary as the world’s leading provider of promotional risk management.